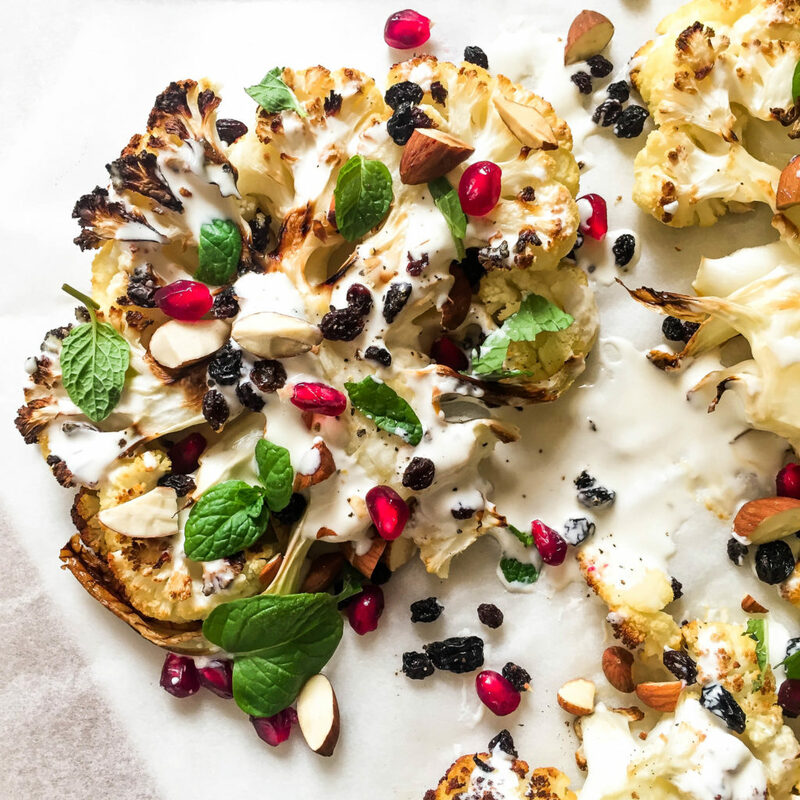 Cauliflower was once the less popular, blander cousin of broccoli, almost entirely overlooked and ignored except for on the odd occasion when cauliflower cheese was in order. 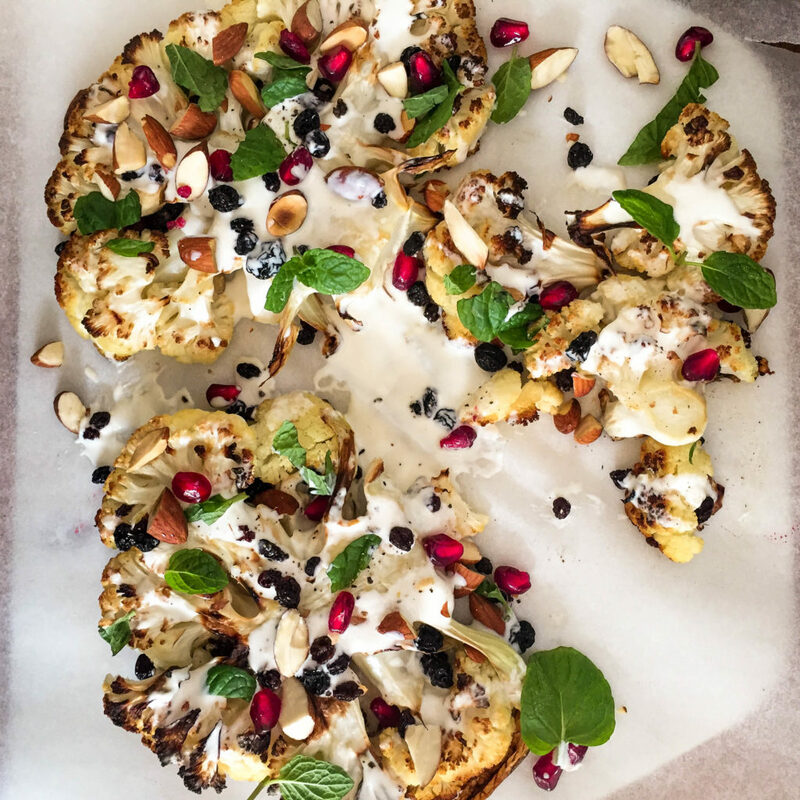 But it’s come into its own recently and now seems to be the vegetable of the moment, probably mostly due to the discovery that roasted cauliflower is actually totally delicious. 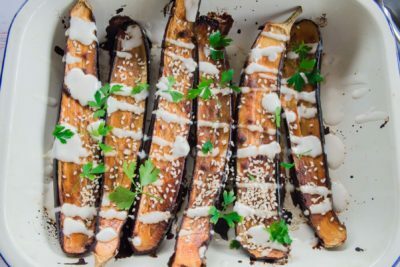 While in it’s boiled version, it is fairly uninteresting and only really useful as a vessel for a delicious cheesy white sauce, when roasted it seems to take on a whole new flavour and comes out of the oven all sweet and nutty. 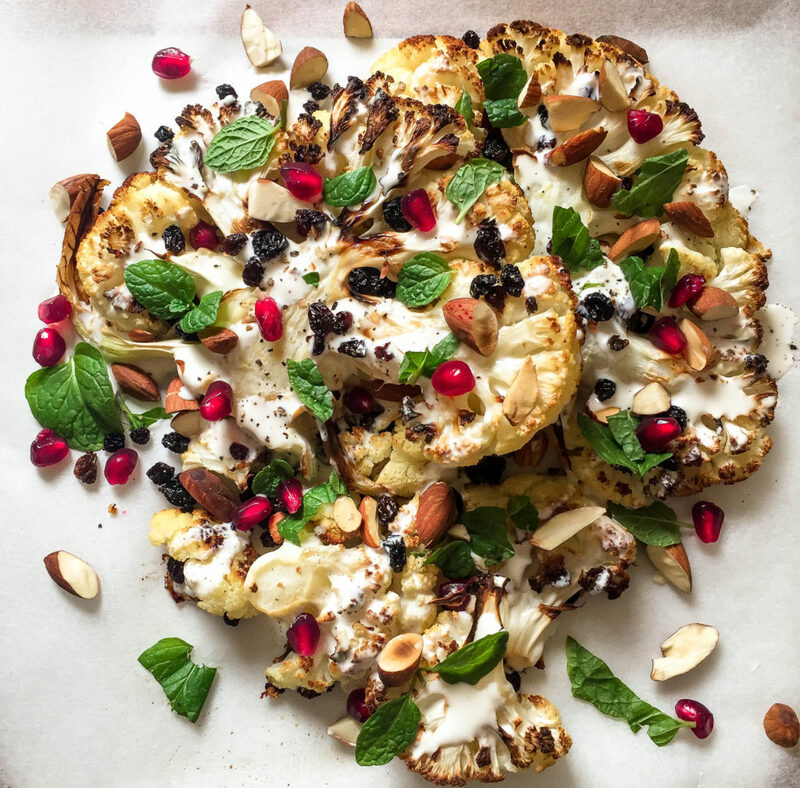 And as far as nutrition goes, it’s not quite the superstar that it’s cousin broccoli is, but still has plenty to offer, in particular lots of fibre and vitamin C.
The combination of cauliflower, almonds, currants, mint and tahini with a few pomegranate seeds scattered around is a total winner. It makes a great starter or vegetarian dish and is also a really good side for lamb or chicken.